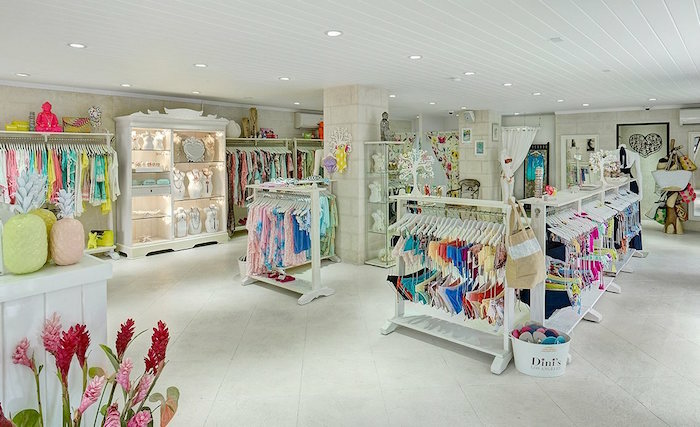 The Beth and Tracie boutique on the corner of Second Street in Holetown has a fabulous collection of ladies swimwear and cover ups, as well as beach accessories. The collection is ultra feminine and geared towards the discerning sun worshiper on her holy grail for that perfect swim suit, kaftan or sundress while on holiday in Barbados. The range covers kaftans, tunics, cover-ups, sundresses and sarongs in cottons and voiles that explode with tropical and pastel hues acting as backdrop for their signature embroidery with a subtle amount of sequins scattered and sewn in by hand. A selection of children’s sun dresses and swimsuits is also available.